TW Accounting is a future-facing accounting firm with a website design to go with it. 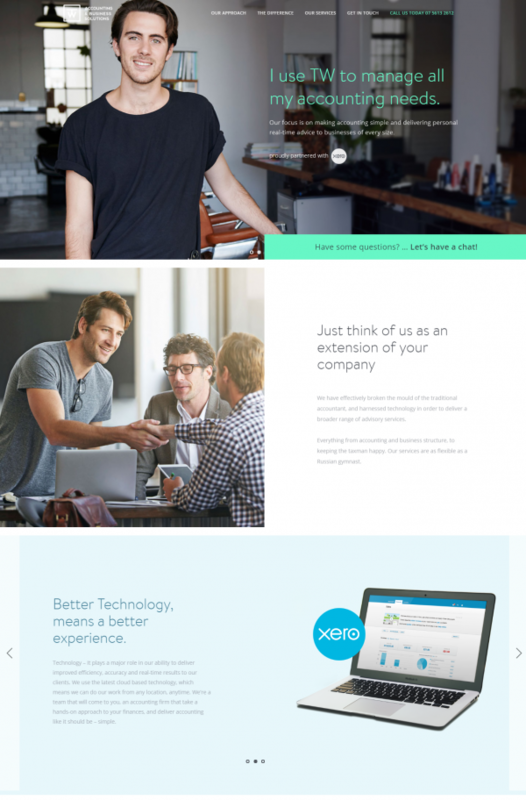 Gone are the boring, bland colour schemes and tones of the accounting world of old, and hello new age design. This site was originally built in HTML, but has been recently converted to WordPress keeping the same design. This design helps the firm stand out from the crowd, and attract their ideal clientele, business owners who are easy going and looking for an accountant who is different to the rest.